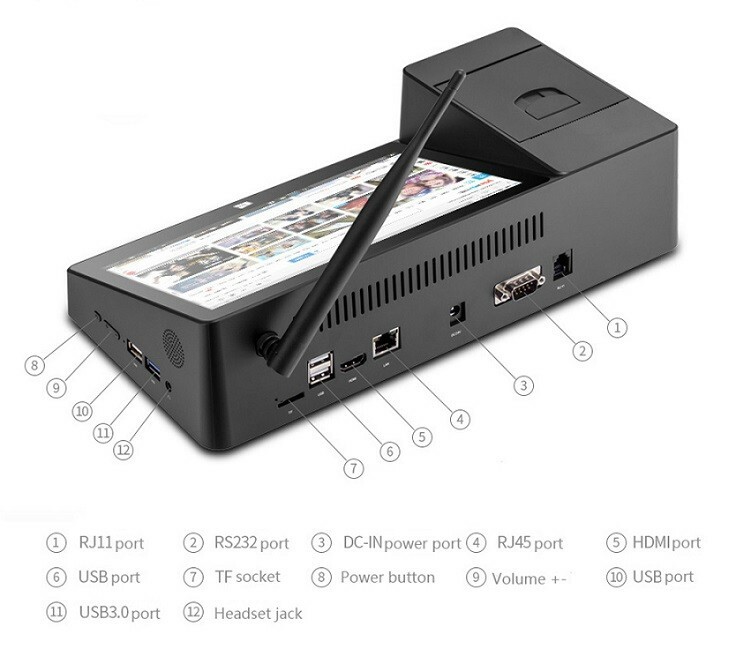 PiPO, a well established company known for their manufacture of Mini PCs with touchscreen displays have released a new product. 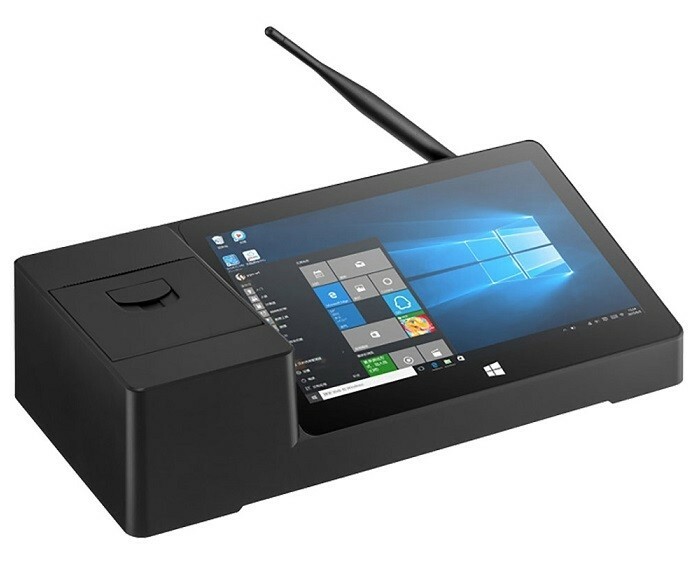 The new PiPO X3 is an Android and Windows based Mini PC and tablet hybrid featuring an inbuilt thermal printer. Making it suitable for use as a dedicated point of sales system. The first notable feature of the PiPO X3 is the titled display. Years ago when Microsoft was heavily subsidising Windows 8.1 for manufacturers, PiPO realised they could get free licenses if they sold a “tablet” under 10 inches. This resulted in PiPO recycling their original Mini PCs and adding a display to be eligible for the upgrade. For the OS, PiPO have opted for a genuine copy of Windows 10 and Android 5.1. Android is a welcome addition as SUNMI and ISSYZONEPOS have already proven it’s a capable operating system for use in business. 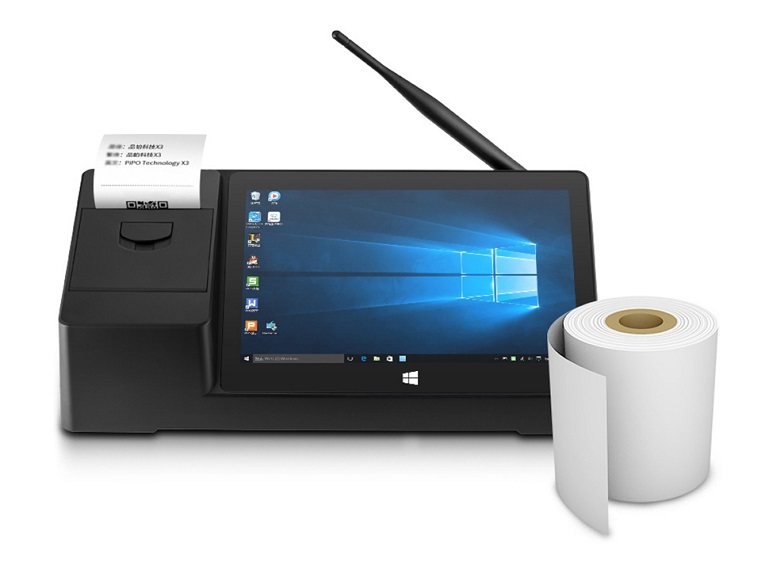 Next is the inbuilt thermal printer. According to the specifications the printer is 58mm with a print width of 48mm and a print speed of 90mm/s. The access latch for the thermal printer is easy to access too. The display itself is a capacitive touchscreen that measures 8.9″ with 1920x1080p resolution and an IPS panel. Under the hood the X3 has the Intel Cherry Trail Z8350 Quad-Core CPU with a maximum clock of 1.92GHz. While this CPU may be 3 years old now, it’s a very capable processor and suitable for use as a point of sale system. The PiPO X3 also features 2GB of RAM and 32GB of eMMC storage. For connectivity the PiPO X3 has a wide variety of ports. Three USB 2.0 ports, one USB 3.0 port, micro SD card slot, headphone jack, power in and HDMI output. It also has a 100M RJ45 Ethernet Port with a RJ11 and RS232 port for connecting peripherals such as barcode scanners. 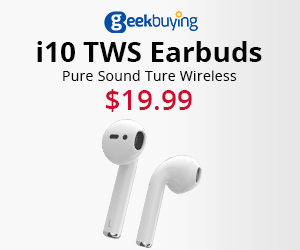 WiFI and Bluetooth are also built in. What’s interesting to note is that PiPO originally announced the X3 several years ago under the name of PiPO X9P. This was an OEM version that came with the option of 4GB RAM and the use of a SoC from other manufacturers like Rockchip and MediaTek. It’s likely that PiPO have decided to rebrand the X9P as the X3 to sell their off excess stock online. Regardless it’s still a very capable product that’s worth a look. 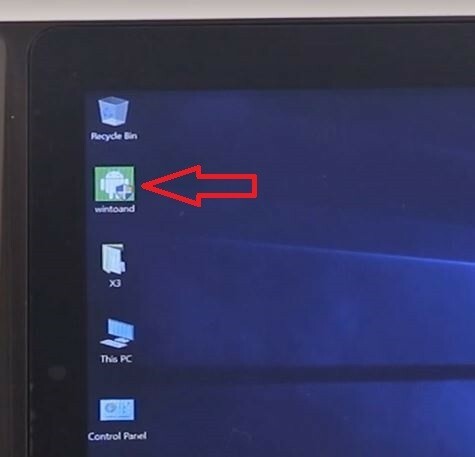 One interesting part to note about the video is that on the desktop is a shortcut called “wintoand”. This is the application that will reboot the device into Android in the same fashion as other Dual OS tablets. Currently the PiPO X3 is available at GeekBuying, Gearbest and Fasttech around the $200 US mark.